Happy Monday! To my American readers, happy holiday! And to the rest of the world, hello, and have I got a way to kickstart your work week right! 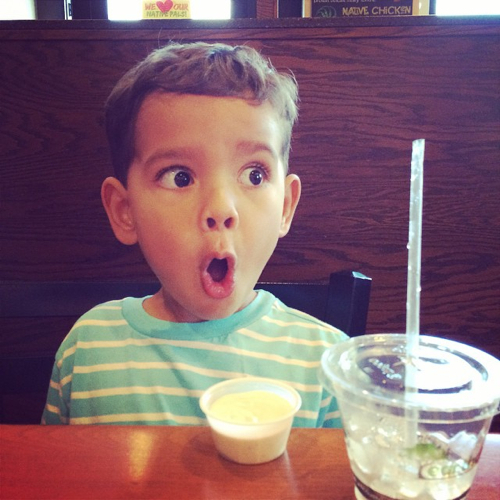 #vkidsdoittoo is a “hashtag campaign” I started last month, as a way to show the world that vegan families get to do all the same fun, fantastic, and yummy stuff as non-vegan families. Because vegan kids are normal kids! 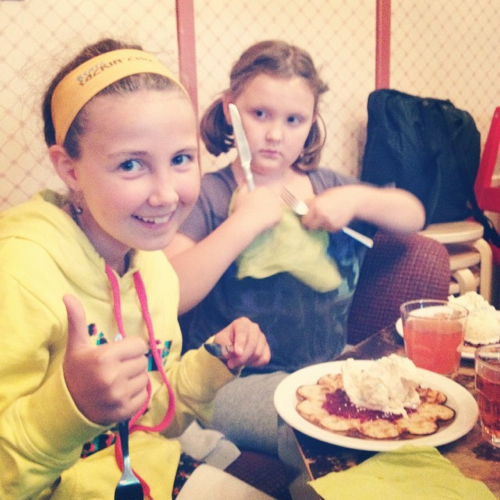 But what’s neat is how it’s become something else as well – a place for vegan families to connect with one another, to find solidarity and comfort, and for vegan kids (wo might not know any other vegan kids in real life) to find community. 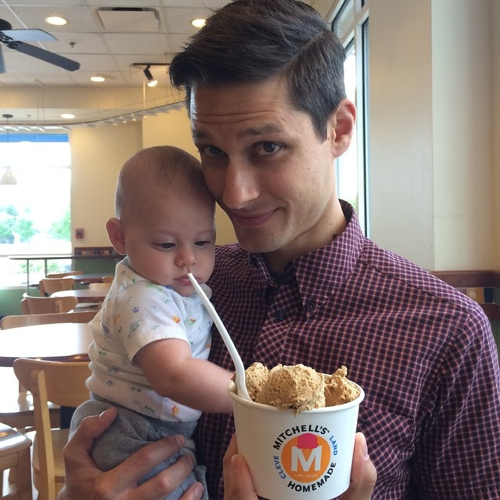 As Instagrammer sholkogan said, “the best part is showing my kids this feed! i hear lots of “just like me!” and “just like us!”"
And that just makes me so happy. So please, keep participating, keep sharing, tag your friends and invite them to join, tweet about it, get the word out, and let’s keep this thing going and growing! 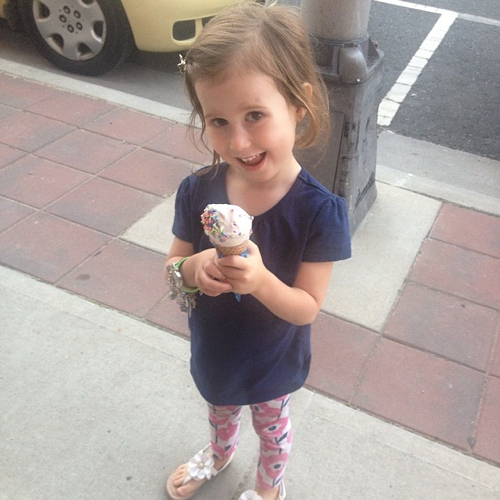 laurenginger: audriana got her first official ice cream cone! vegan soft serve made with coconut milk and vegan sprinkles on an organic cone! 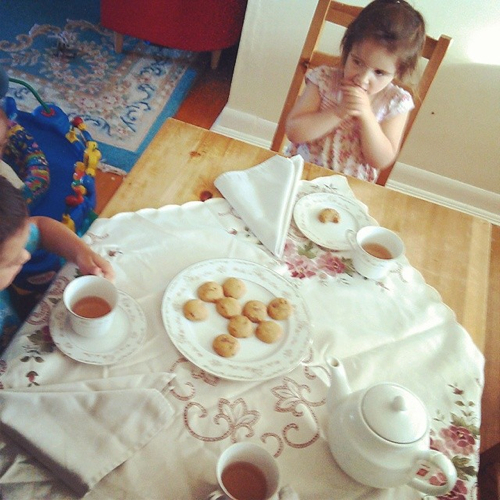 lgillis03: #vkidsdoittoo dinner is served! 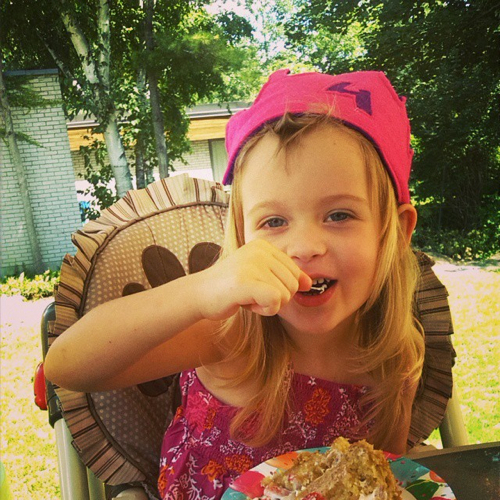 what kiddo loves some mac and cheese with hotdogs in it? 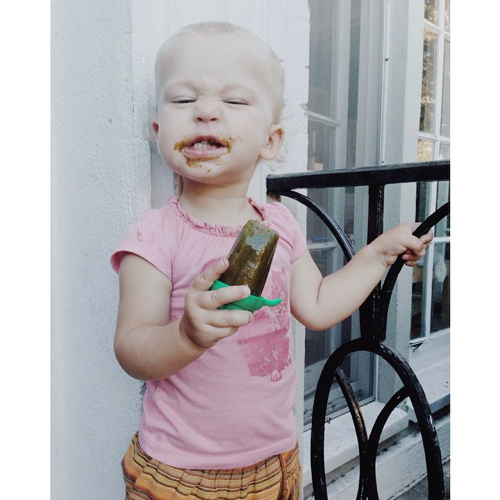 this little vegan toddler sure does…first time eating it. success! A super-huge THANK YOU to everybody who’s been sharing, and to everyone who’s helped spread the word so far. I can’t tell you how happy it makes me to scroll through all the pics and see all your amazing, adorable, thriving vegan children. So, thank you thank you, and please keep ‘em coming! so much cuteness! 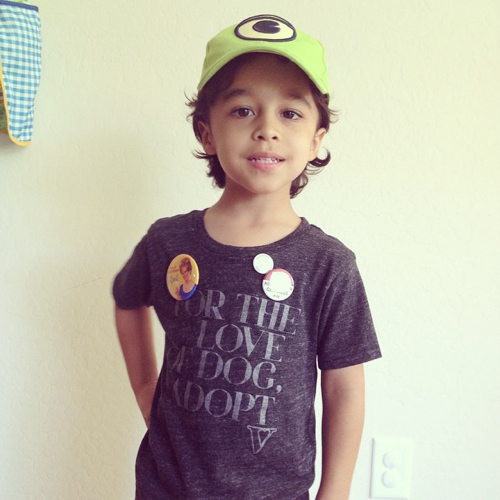 i want audriana’s ice cream cone! 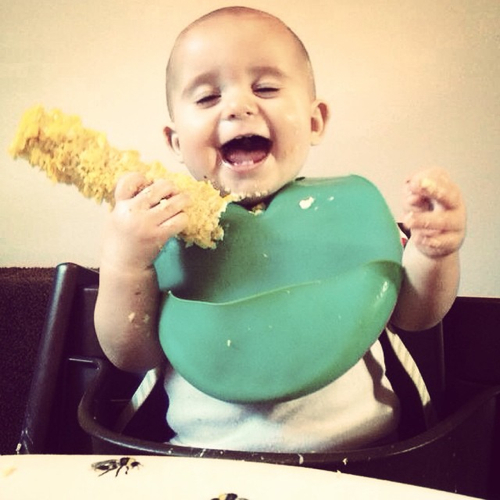 My kid is only 10 months (that’s her, really really enjoying her corn), so I especially love seeing the older kids and toddlers having gorgeous, thriving, vegan childhoods. Inspiring! I’m LOVING this hashtag, Sayward. I spent a good 45 minutes looking through all of the pics on Insta after your last post. Looks like I’ve got some catching up to do! Cute pix of adorable vegan babes will never get old! Good gravy, these are awesome! Ha! I always want ice cream these days . . . mmm summer! 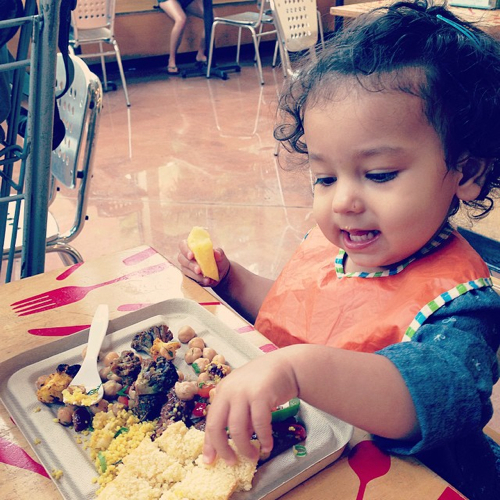 I know man, I could look at cute vegan baby pics all day, haha. 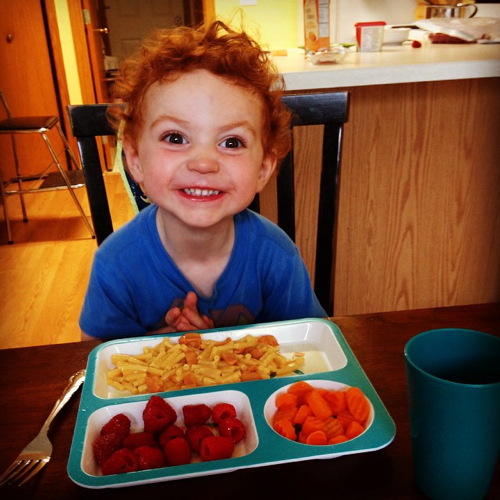 Cute overload! It’s great, the stewardship you’re doing with this campaign! We are so enjoying it as a family. Might I suggest the “Vegan Kids Survival Guide”? Thanks so much for alerting me, Minna. They are tagging with all sorts of vegan hashtags so it’s not just #vkidsdoittoo. So sad. I reported the issue to Instagram and I hope they’ll remove them. I don’t think it’s possible to block somebody from a hashtag, unfortunately.